iPlum provides you complete privacy? iPlum is a business class service. You can be confident that iPlum keeps your information confidential and never shares with any third party. How spammers usually work for calls? A common trick is to “Spoof” any phone number randomly into an autodialer and call thousands of users hoping to reach some of them. The end user gets a “missed call” and when they calls back that number, it reaches the real owner of the spoofed number who never placed the call at the first time. How spammers usually work for texts? A spammer would randomly configure a number on some 3rd party rogue application and start texting out. If you happen to have that number, it will start showing your number as Caller-ID to the recipient. Login: Go to the web page https://my.iplum.com. Block Numbers: Click “Utilities” in the left menu and select “Block Numbers”. 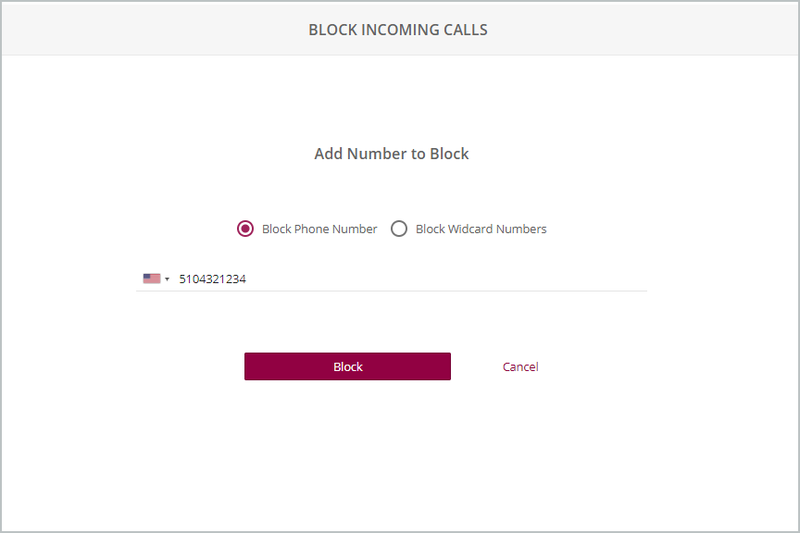 Select the account and add phone numbers to block incoming calls from these numbers. 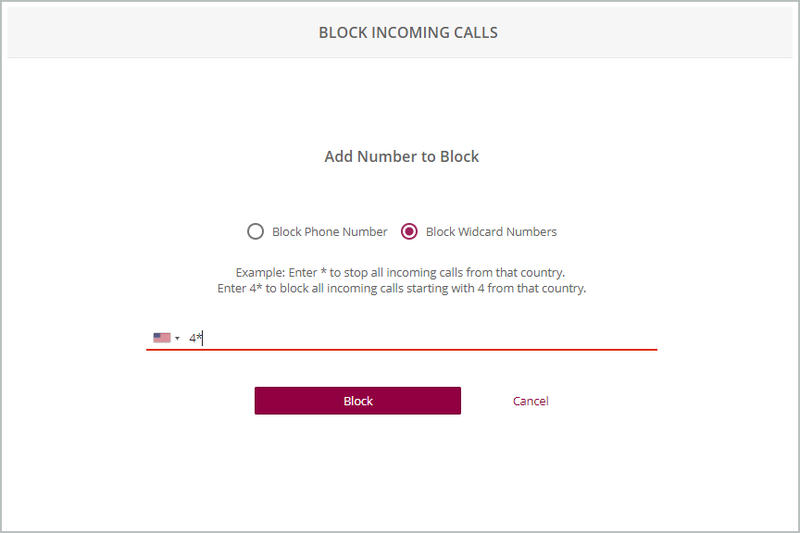 You can configure wildcard patterns to stop numbers from certain area-codes or completely block inbound calling from a country. Enter the first few digits ending with a star (*). This will block any numbers which match that string. Do not enter multiple stars. The star needs to be at the end of the numbers. A simple star after the country icon will block all calls from that country. Entering 410* for US will block all numbers starting with area-code 410. Note: Number blocking will stop inbound calls from these numbers. It will not effect inbound Texting from these numbers.